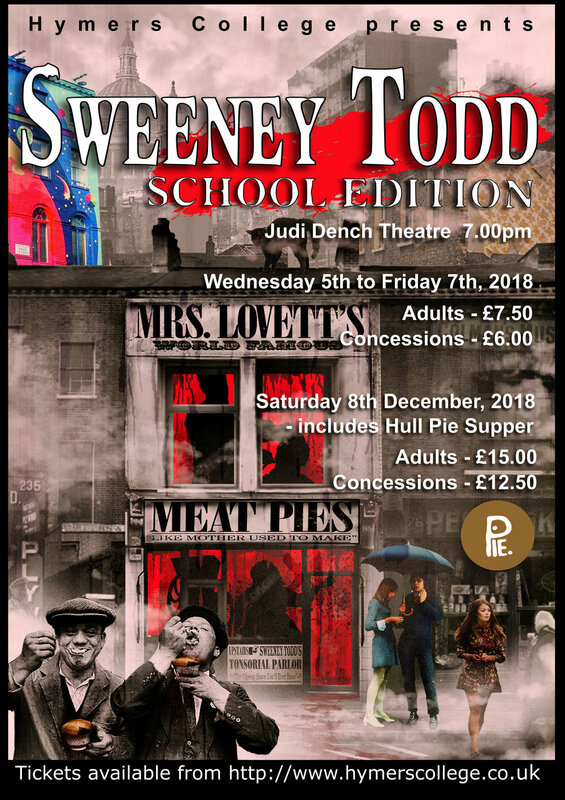 Join us in December for our school production of Sweeney Todd. In our version, the action takes place in an impoverished post-war setting of 1960’s London, where crime and corruption is rife, and the lines between law and injustice are blurred. With all integrity seemingly abandoned, the city itself seems sick, with each face switching from passive civilian to violent demon, as their inner intentions emerge to the surface, just to sink back down again. Has the madness of the fallen city finally bubbled over, or is this simply the aberrations born from Sweeney Todd’s own decline in to madness? Tickets for the special pie supper performance on Saturday 8th December will no longer be available after Wednesday 5th December.